"This is an equality issue. His statement allows abortion up to birth for the disabled and this sends out a horrifying message to people with disabilities. This is telling people with disabilities that they have fewer human rights than people without disabilities. Many people with severe disabilities have contributed greatly to humanity." Nadine Dorries MP has to wait a few more hours before she'll learn if her fellow MPs will vote for a lower limit on abortion. Regardless of how MPs vote our belief is that Nadine has already succeeded to a considerable extent. Her campaign - which has been featured by every major broadcaster and newspaper - has reminded people that the unborn child has humanity. People can disagree as to the nature of that humanity but more pregnant women know more about the foetus growing inside them because of the re-emergence of the abortion debate. There are many aspects of America's abortion debate that are unattractive but at least there is a public debate about an enormously important moral issue. "Such a cooling-off period is necessary, because the decision to terminate a pregnancy or not is one with which the woman concerned will have to live for the rest of her life. It is imperative that this decision is fully considered, and that all the necessary help and advice is available for her to make an informed decision. This part of the bill is designed to enforce a woman’s right to know. There is no pressure on a woman to decide either way. The woman does indeed have the right to choose. The cooling-off period gives her this time to reflect on her decision. It is also a time when parents, partners, boyfriends etc will have to stand back and give the woman time to reflect." Following today's vote we'll be publishing a guide to how every Tory MP voted. 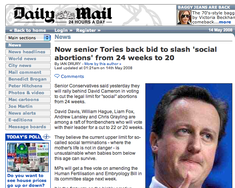 David Cameron favours a cut to 21 or 22 weeks (from the current 24). Chris Grayling favours 20 weeks and told the Mail: "If we are in a position where babies can survive at 23 weeks, then 24 weeks is utterly unacceptable." Liam Fox: "I am going to vote for a reduction to 20 weeks. Our laws are much too liberal." During the Conservative leadership race Dr Fox, a former GP, called for a 12 week limit: "I think that a society that actually aborts 180,000 unborn children every year is a society that needs to be asking a lot of questions about itself… For me it's a simple personal belief. It says, thou shall not kill, it doesn't say, thou shall not kill unless Parliament says it's OK."
William Hague is going to support a lower limit. 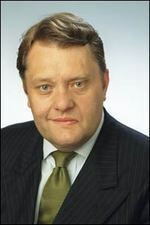 David Davis also is thought to favour a lower limit. Andrew Lansley favours a reduction to 22 weeks but also favours a more liberal regime for earlier abortions: "If a woman needs an abortion, then it must be better for that to be an early and medical abortion, rather than later and surgical." The campaign for twenty weeks is being led by Nadine Dorries MP. The campaign's website lists twenty reasons why the abortion limit should be reduced to twenty weeks. 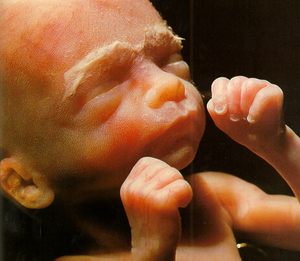 "Late surgical abortions mean that a baby is dismembered in the womb, and removed limb by limb, head often last. Professor Anand, incredibly well respected and acknowledged as the world's leading expert in foetal pain, believes that a foetus feels pain as low as 18 weeks gestation. 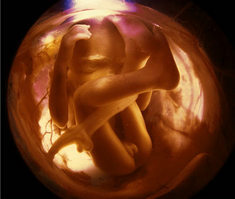 Before the dismembering takes place, the baby is injected with a lethal injection of Potassium into its heart, via the mother's abdominal wall. I will leave it to you to imagine how much distress and pain this may cause the baby." ConservativeHome wishes her every success with her campaign and we are proud that most senior Tories are on her side. An all-party effort to reduce the abortion time limit to twenty weeks has been launched today - with a front page splash in The Daily Mail. The campaign which already enjoys the support of 200 MPs and is coordinated by Nadine Dorries, Conservative MP for Mid Bedfordshire, has launched a website. High profile cases of babies surviving well below 24 weeks like Manchester's Millie McDonagh, born at 22 weeks, and the world's most premature baby, Amillia Taylor, who was born a week younger, both in October 2006. High resolution 3D ultrasound images, pioneered by Professor Stuart Campbell, have shown babies in amazing detail 'walking', yawning, stretching and sucking their thumbs in the womb. In top neonatal units, such as in Minneapolis, Minnesota, 80% of babies born at 24 weeks and 66% of babies born at 23 weeks will survive. Recent figures from University College London are similar. Recent research, such as that by Professor Sunny Anand from the University of Arkansas, has shown that fetuses are well enough developed to feel pain down to 18 weeks gestation. Stories of babies born alive after botched abortions, as young as 16 weeks, are increasingly common and have understandably shocked the public. Britain has the most liberal abortion laws in Europe. A termination can be obtained up to 24 weeks of pregnancy - double the limits in France and Germany and six weeks later than in Sweden or Norway. "A ten-ounce marvel with the most extraordinary fighting spirit, her tiny feet poke through the doctor's fingers. As the world's most premature living baby, Amillia was born in October 2006 at just 21 weeks. And this remarkable child not only confounded medical expectation but her very existence poses a conundrum for all of society. We live in an age in which the chances of survival for a premature baby born before 24 weeks have improved astonishingly. 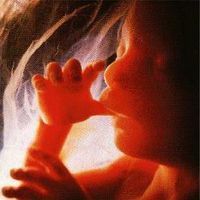 Yet still we cling in Britain to a legal limit of 24 weeks for abortions - a limit that takes no account of recent medical advances and has been in place since 1990." Below is a YouTube video portraying a scan of an unborn child at twenty weeks. It was two weeks ago that David Cameron challenged Brown at PMQs to follow his lead and grant all MPs a free vote on the Embryology Bill. Today, after a fortnight of internal pressure from Catholic MPs and from religious leaders, Brown has abandoned his three line whip. Clerks of both Houses have confirmed that the Human Fertilisation and Embryology Bill could potentially open up the entire Abortion Act for possible amendment. MPs may vote on a proposal for overdue change in the rule that allows disabled babies to be aborted as late as 39 weeks - up to birth - but the Daily Mail this morning quotes David Cameron as saying he doesn't believe that change in that aspect of the law is necessary at the moment. "It reinforces negative stereotypes of disability and there is substantial support for the view that to permit terminations at any point during a pregnancy on the ground of risk of disability, while time limits apply to other grounds set out in the Abortion Act, is incompatible with valuing disability and non-disability equally. In common with a wide range of disability and other organisations, the DRC believes the context in which parents choose whether to have a child should be one in which disability and non-disability are valued equally." 91% supported "a woman's legal right to be informed of the physical and psychological risks associated with abortion." 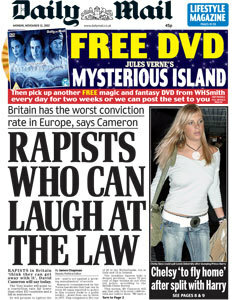 Amanda Platell wrote a very moving article in yesterday's Daily Mail about this issue. In the House of Lords today peers will debate Lord Joffe's Assisted Dying Bill. Cardinal Cormac Murphy O'Connor and Archbishop Rowan Williams gave a joint interview on this morning's Today programme to underline their objections to assisted dying. With the Chief Rabbi, Sir Jonathan Sacks, they have also written to The Times, warning that "any change in the law would irrevocably change the delicate relationship of trust between patient and doctor and between citizen and society." On the right is a letter from David Cameron stating his personal opposition to "any Bill legalising euthanasia or assisted dying". Mr Cameron writes of his fears that "if assisted dying is legalised, terminally ill people may feel pressurised into ending their lives if they feel they have become a burden on loved ones". Mr Cameron has made it clear that this will not be a whipped issue and Conservative parliamentarians will be entitled to a free vote as they are allowed on other issues of conscience. Earlier this week ConservativeHome discussed an opinion poll that found that two out of three people fear that Joffe's bill could put vulnerable patients under unnecessary pressure. On YourPlatform today, Alex Deane, former Chief of Staff to David Cameron, makes the case against euthanasia.